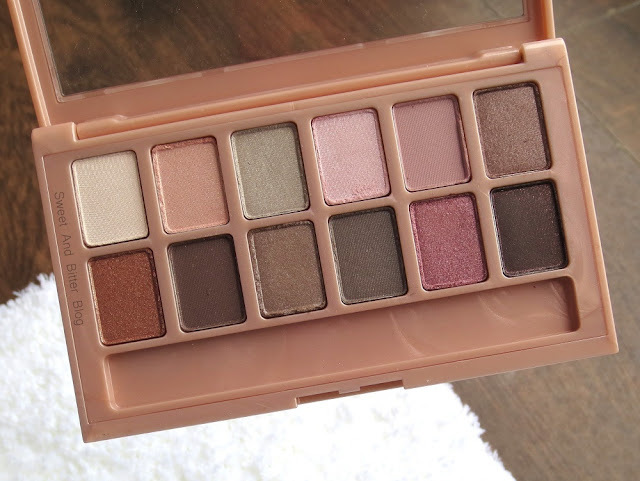 Maybelline The Blushed Nudes: With an array of rosy nudes and mauves, this palette is a mix of shimmery eyeshadows. 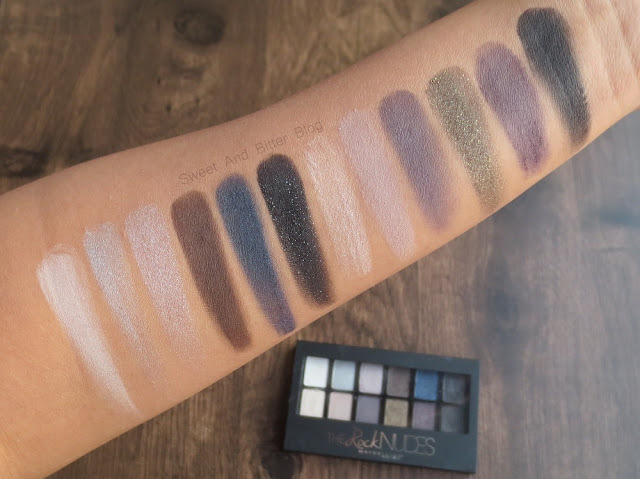 When I swatched it first, I felt that it won't be of much use. 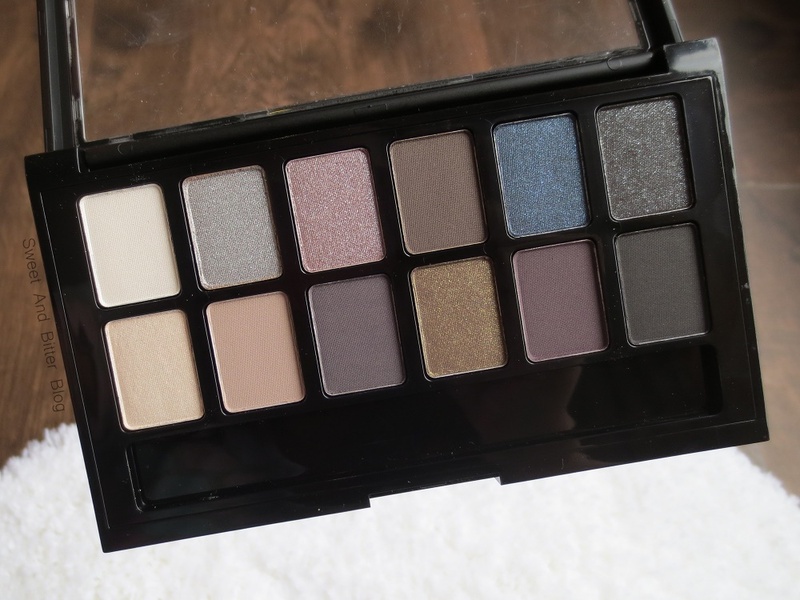 To be disbelief, I am now using it more than the original Nudes Palettes. The shades are apt for the day when you need a wash of colors on your eyelids and can be toned up as well. For a bolder look for evening, there are darker colors. But, the colors may look chalky on darker skin tones. 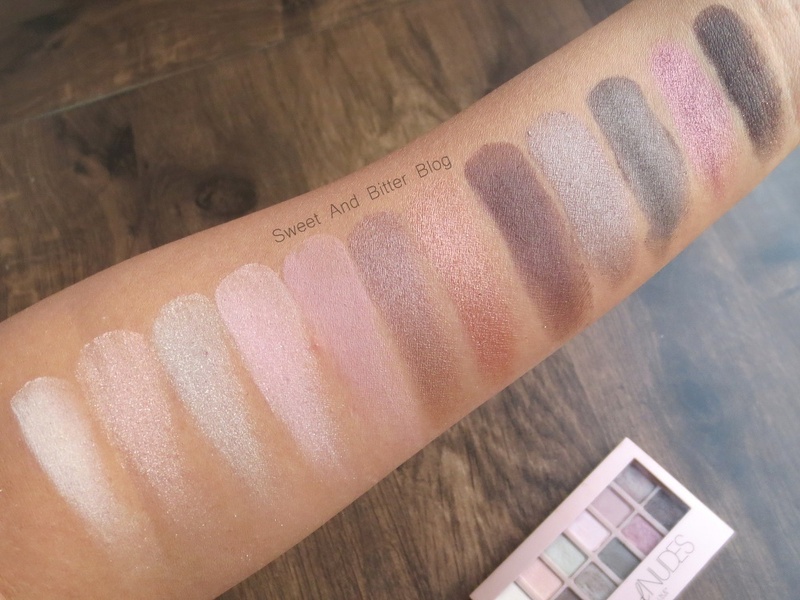 Maybelline The Rock Nudes: Mix of bold colors with some light shimmery tones. The black with silver shimmer and the chocolate brown are my favorites. But, the darker shades are not very smooth and does not look bold when worn - defeating the whole purpose. 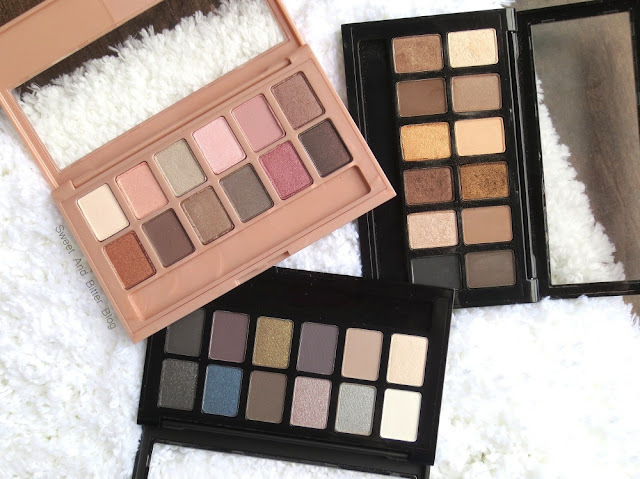 So, if you love any shade in the palette and you feel that you will be using it extensively, buy the single eye shadow or an eyeliner/kohl which can be smudged of that color from another brand. Overall: Initially, I thought that I would use The Rock Nudes more during winter, but it wasn't the case. 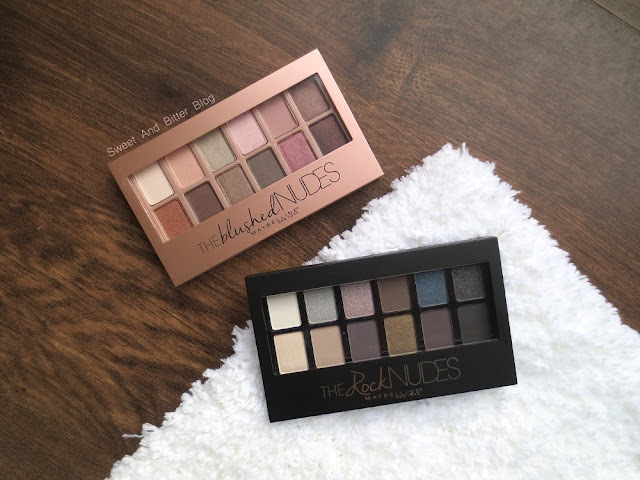 While my favorite is the original one, I am indeed reaching for more the Blushed Nudes these days. I also took it along with me during my three weeks trip and not for a moment I missed the other palettes. Also, the Indian version of the Blushed nudes comes with an eyeshadow brush and not standard issue sponge tip applicator.